It’s been an interesting month getting to know the Racer and its off-beat, retro charm. I’ve had my eye on the Racer ever since I first saw it at the Intermot show in Germany at the end of last year. With the simplicity that goes hand-in-glove with that air-cooled Boxer engine and that smooth, almost organic styling, I reckon it is the best-looking bike of 2017. It also promised to be the bike that I’d secretly desired for years – a cool-looking retro machine with near-sportsbike abilities. A couple of months later the first Racer in the country – and it was a great experience. The punchy engine combined with a nimble chassis and an easy-going nature to find loads of grip in less-than-perfect conditions. It exuded real class. 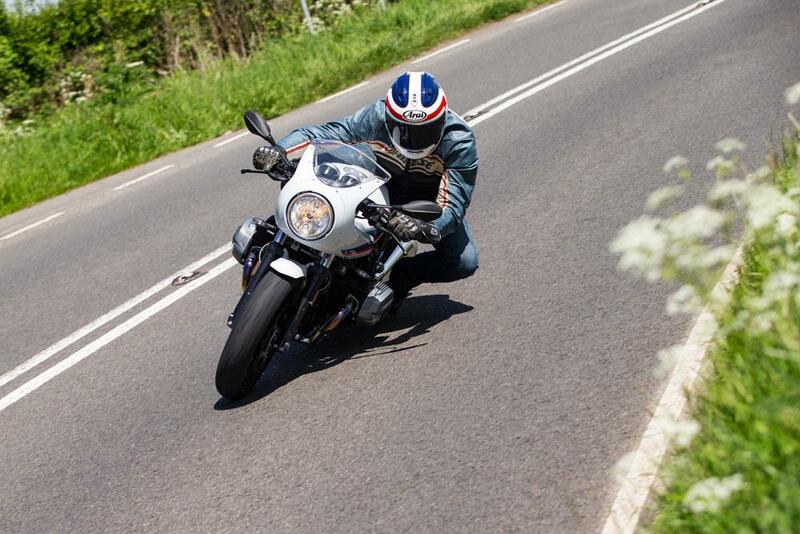 So, when MCN’s long-term R nineT arrived, I nabbed the keys – and so far it has been enlightening. I’d had a few concerns about the BMW’s built-to-a-price running gear. 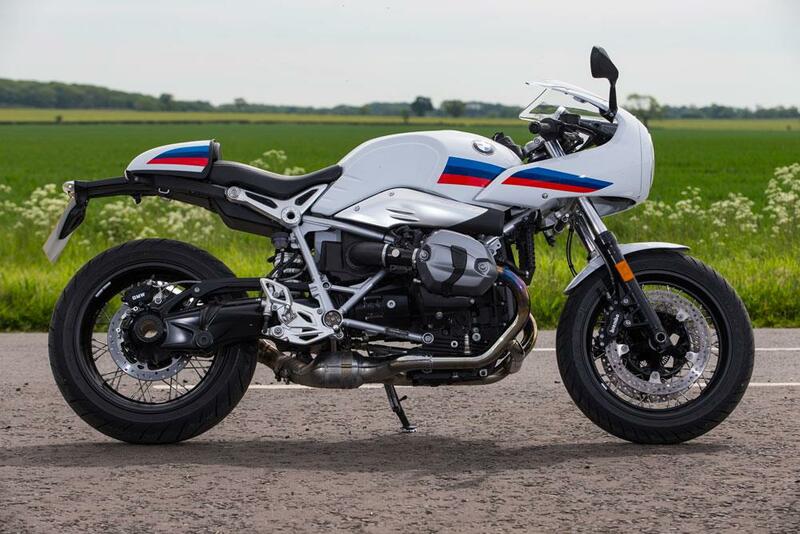 The Racer’s starting price is £1500 cheaper than the top-level R nineT, which boasts S1000RR-spec brakes and fully-adjustable suspension, but the quality of the 43mm conventional forks and axial-mount Brembos is impressive. The Racer has a lovely rate of turn and a stability in fast corners that’s simply delicious – you guide the bike from entry to apex to exit, revelling in precision and feel, before using the grunt of that 1170cc flat twin to fire out of the other side. And fast riding is where the bike is at its best. That’s because slow riding is, quite literally, a pain. The problem is the stretch to the bars, which gives you a near-horizontal riding position and puts lots of weight on your forearms. You need the windblast on your body to counteract this – it makes a bike that should be perfect for urbanistas pretty bad in town. So, what are the plans for this year? Firstly, I want to make the most of the bike’s sporting potential, initially by fitting stickier, more-triangular profile rubber and secondly by liberating a few more ponies and a bit more noise. At the same time, I want to improve ground clearance for the track, so a set of rearsets are a must. I did have plans for lightweight wheels and high-spec suspension, but I’m not sure the bike needs it. Dynamically, the R nineT racer is already one of the surprises of 2017 and I’m looking forward to plugging into its abilities.